I had my first ever body piercing at the age of thirty. I had my ears pierced as finally I decided to wear earrings. My old pediatrician-then mentor did the epiphany with the ear gun, the same kind she used for creatures thirty years younger than me. She let me choose from among the display of multi-colored studs. It was her gift and told me not to remove them for one week . I was to clean the piercings with alcohol every day. Thus my adventure with earrings began. ‘Nice pair of bracelets you’ve got on your ear!’. Before I left for the capital for my training, I casually mentioned to a colleague that I found multiple ear piercings interesting and exotic. She couldn’t be the more perfect person to tell this to because she herself had two piercings in one ear and four in the other. And again, armed with an ear gun, she pierced another one on my right and did not make me pay for it. It was her birthday gift to me. I went to the capital feeling funkier and more chic, or so I thought. 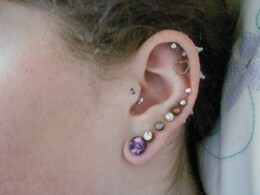 I’d wear two studs or one stud with a drop or chunky chandelier earrings on my right ear. The love affair with two piercings in one ear was short lived. It ended when best-est friend, who would invite me to formal occasions frowned upon the idea. You see, he moved around the diplomatic circle counting His Excellencies, consuls, charges d’ affaires among his friends. Once he invited me to a send off party of someone from the Indonesian embassy. Although it was an informal party, one among the many, this time hosted by someone from the consulate of Chile, I showed up with the chunkiest pair of earrings all on my right ear that made the usually unperturbed best-est friend to say ‘That is too much!’. I removed the offending earrings, licked my wounds, threw orchid petals, floating candles into the bedecked, swimming pool like the other guests did. I also thew in my earrings. And so it became a bedazzled, bejeweled swimming pool. The idea first went into my head when I saw Thavamalar, a doctor from the health ministry of Malaysia. Although belatedly I learned from my Indian students that a nose piercing or ring can be faked using the clip, I wanted mine with carats. I wanted real piercings. The problem with the nose piercing however was that, it would draw too much attention to my nose which I’ve always found unattractive. And even if I’ve had the same nose for forty three years, I was not comfortable with it. I was, (I still am) pug nosed. 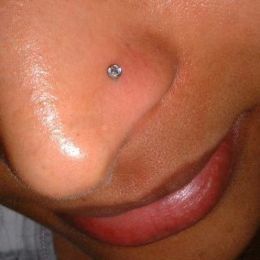 I resigned to the fact that nose piercings would look good on pointy, aquiline nose which I do not have. It was my youngest sister’s idea. We were crossing the Bar Gate in Southampton on our way to the shopping mall. It was Indian summer in the UK and was a grand time to be tossing thick, frumpy clothing for tank tops, midriffs and shorts. It was also a good time to show off belly button rings and navel piercings. We were choosing the high end titanium kind as my sister wanted me to only have the best when I remembered I had to ask permission from hubby. I called him up and could sense his discomfiture as I recited to him the long litany of chic-ness, vogue-ness hip-ness and fashionable-ness I was about to engage myself into. After blabbing for full five minutes, I waited for an answer. The other end of the line was silent. He hung up on me. He was a classic case of silence means ‘No’. Better that than hearing a volley of vitriol and profanities. When the island of Boracay became a hit over two decades ago, tribal art using henna was introduced by enterprising artists and continue to do so to this day. However, I did not have my first henna tattoo from Boracay. I first had mine after I got married. A few weeks into the marriage, my husband and I stayed in a suite in Subic Yacht Club. Outside of it was a country carnival fair with makeshift stalls offering henna tattoo services. I asked permission to have one. It was a lengthy, bloody compromise and he relented as long as it was ‘small’ and ‘inconspicuous’. Small and inconspicuous did not make sense at the time but I thought it was better than nothing. I chose a Chinese character which I did not understand and had it painted a little above my left breast. When hubby learned where I hid the henna tattoo, he almost went ballistic. No, berserk was more like it. But at least I complied with his ridiculous ‘compromise agreement’. Body art was nothing new to our culture. Our ancestors called Pintados (Painted Ones), by the time Ferdinand Magellan discovered the archipelago, already had them. I realized I wanted one when low rise jeans were the fashion du jour. When a girl with an angel or butterfly tattoo wearing thongs and low rise jeans leans over to pick up something, for example her daughter and son (at the same time) in a car park in Whiteley, the tattoo (and thong) would play peek-a-boo and it was to me a the sexiest thing to see. I wanted some of the sexiness rubbed off, I mean tattooed on me too! Many things worked against me with the body tattoo. First, my age. I was nearing forty at the time. Second, my very conservative husband who thought the idea of his almost forty year old wife wearing low jeans with peek-a-boo thong strings and butterfly tattoo would be more than enough ground for him to be disinherited by his family. Thanks to me. Third, at the time, the ink was permanent, hence the tattoo was permanent. It was this sense of permanence that somehow made me think twice, thrice about my peek-a-boo butterfly tattoo. I could not imagine becoming a tottering grandma with a butterfly tattoo on her bum. Which means the only tattoo I can have are cosmetic ones. Eyebrow tattoos. A few months ago a ninety four year old lady asked for a medical clearance because she was going to have a permanent eyebrow tattoo. I just might consider this one. However, I will wait until I become very old because when the facial skin comes sagging, and the forehead is no exception, the tattoo lines might sag too. I’ll end up with wide greenish looking eyebrow tattoos (the ink in old times would leak) on top of my eyelids. Or if I should have Botox done on my face, the skin might become taut and tight I’ll end up with eyebrows in the middle of my forehead. So, which ones did you miss out growing up? Nerd or not. Hi Terry! It was also my father who resented all three of us girls from having earrings. My other sisters had theirs after graduating from college. Aren’t your Mom and Gran adorable? o yes, they were terrific! Goody! I love awesome parents and grandparents. But then, don’t we all? Maybe they were right about parachute pants in a 7 year old but not about MJ being a flash in the pan. It’s never too late I guess. Maybe jhodpurs would come close, LOL. Hi Omwa! Thanks for the kind words. I actually missed a lot more than what was listed and thank you for pointing that out. The mini-skirts, yes! I went to an all-girls high school run by Catholic nuns and we had uniforms whose hems stop in the middle of the lower legs.The nuns though were Gestapo-like over ‘sinking socks’. I also had high school classmates in Home Economics, during a lull from baking class, after the kneading the dough or while waiting for the cake to rise and for the oven alarm to go off, they would numb their ears with ice and just punch the earring in. It wasn’t even bloody at all. Was that how you did it back then? Disco (and whatever names kids call them these days, ha ha), the first time I went into one was when I was in medical school. The loud music sent me into palpitations. 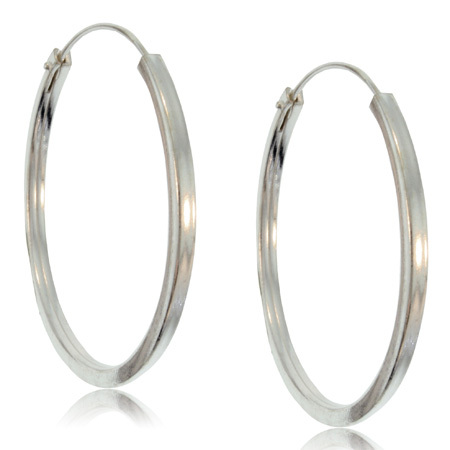 I still kept my loop earrings, for those crazy nights out in the future, who knows hubby will ease up his rules, LOL. Thanks for sharing your sweet memories too. It was awesome to hear them from you! It’s always the Dad’s isn’t it? Now my Papa thinks I’ve been an over-aged, over-supervised adult, my husband has since assumed the role of policing me. And he’s doing a damn good job, ha ha. Thanks Lotta! I celebrate you in the way you celebrate yourself. Might as well use our bodies, no? Well done. Thanks NC! I feel validated. But seriously, I got two diamonds laser-ed on my teeth (right lateral incisor and canine). Revenge was sweet! I made up for it by gettin a a nose ring, belly piercing and two tattoos. Working on eyebrow piercing, when I find some time! 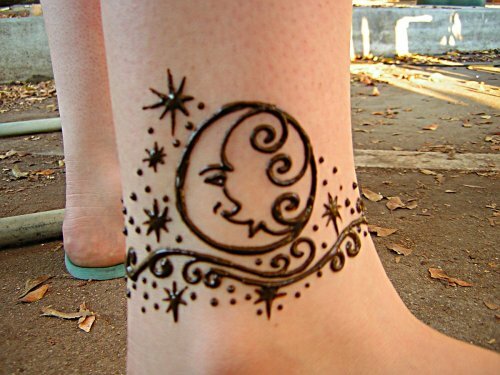 And an ankle tat. The nerd in me has gone away, except I still have my nose buried in a book at every chance I get! Aha, you are an interesting concoction of one who lives life the way you want to and a nerd at the same time. In a perfect world, I want to be you! Ha ha, that’s life as we know it! I am solidly in the nerd camp. My daughter, as would be expected, took the opposite path. Btw, thanks for reading my post. Hi! Well, at least I had the foresight not to have a tattoo that may cause my grandchildren to disown me or cause hospital people to cringe. Actually, I’ve seen some of them myself. And you’re right, a post about them may better be posted in PG13 sites, LOL. Thanks for dropping by and for commenting. You’re welcome (about reading your post. My pleasure). I had my ears pierced when I was 18, semi-coincidentally not long AFTER my Mum had hers done at the grand old age of fiftysomething. Then. at 22, I married a guy who thought women with multiple piercings/nail varnish/makeup were sluts, and my cultural development froze for twenty years! During that time, I developed a private morale-boosting list of Things That I Would Do When I Left Him. It was quite a long list and included such gems as ‘ride a motorbike’, ‘get more ear piercings’, and ‘get a tattoo’, not to mention ‘wear nail varnish every bloody day’. Now? I wear nail varnish every bloody day, and it feels great! Wow, that’s awesome. Your Mum too! Good you’ve started the ‘nail varnish every bloody day’. When do the rest on the list follow? Now that you remind me, I’ve always wanted long nails but my work precludes me from having them. Thanks so much for dropping by and for sharing! Talk about an active thread… So is it me, or you didn’t end up getting a belly button piercing? If I got the belly button piercing I wouldn’t have written this post and let the world know I’m desperate for attention. So my guess: ‘C’est moi and not you who didn’t get the belly button piercing. Sad, no? Got it. And I don’t have a witty come back. I’d like to blame it on Le lazy Sunday morning. BTW, no thread could be more active than yours! Like Le Clown, it’s always on F-I-R-E! ear piercings with Camryn Manheim in mind are so cool! Hi! I nominated you for the Versatile Blogger Award. I hope you will play along. You have a lovely site that I enjoy visiting each day!! Thanks Bird! I know there are rules and I’ll see how to get my way around it. I read your posts too! And you’ve been very prolific. I think writing can be kind of cathartic to me and most people. Thanks for the validation through the nomination. I am honored, really. You deserve it, Eva. You’re one of the people that make me think! I hope you are having a peaceful day today..
Oh! I make you think? Bird, that’s a compliment better than any award. I hope to be better at my ramblings, LOL. Thanks again. My day is just starting, It is peaceful – son is still sleeping because guitar lessons isn’t until 9AM and hubby is eerily quiet studying for a hearing that’s why I’m blogging. Thanks, may yours be peaceful too. Have a good one! Yeah, you’re right. I’m just looking for a shop with water soluble ink in case I change my mind about the tattoo design or the tattoo altogether. Thanks for dropping by. Those “hula-hoops” will make you look better. (no sarcasm intended) But the one with mutiple ear studs just look creepy.